Come 6 September 2014, local arm wrestling pair of Valen Low Wai Luen, 20, and Tay Jia Jun, 19, will lock arms with international arm wrestlers at the Pattaya International Arm Wrestling Championship. Held at Royal Garden Plaza Pattaya, the championship promises a strong lineup of international arm wrestlers. The annual championship has grown since its inception and is now into its 11th year; last year's edition saw professional arm wrestlers Arthur Dorohoff from Latvia and Sergey Kardash from Russia. Valen shared that this year, the competition will see Kazakhstan's professional arm wrestlers, Magzhan Shamiev, Shynbolat Rajhanov, and Kydrygali Ongarbaev, who all excelled at the recent A1 Russian Open 2014, an international arm wrestling competition that features the powerhouses of arm wrestling. For the Singapore arm wrestlers, it will be their first outing to Thailand and the Pattaya International Arm Wrestling Championship. "I wanted to test how strong the Thai arm wrestlers are and the environment of arm wrestling in Thailand," said Valen Low who is the president of Singapore Arm Wrestling. 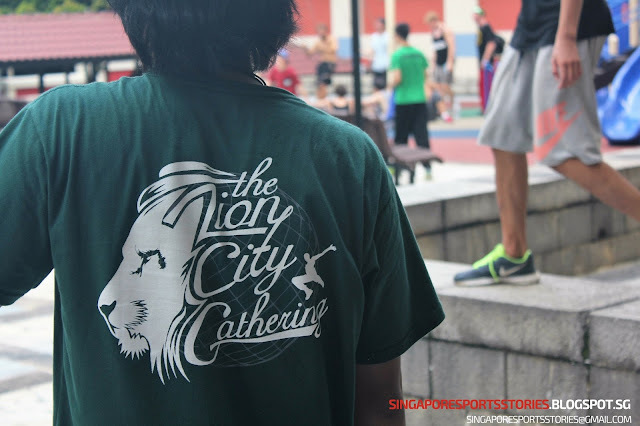 "Another goal is to interact and discover the standard of arm wrestling in Thailand and see how far Singapore arm wrestling has improved." Valen will compete in two categories, the Men's under-75kg and under-85kg while Jia Jun will join Valen in the Men's under-75kg. The duo, both from Republic Polytechnic, are currently on term break and were training intensively for the competition for about two months. Jia Jun said: "We started focusing more on table training and conditioning of the muscle groups essential to arm wrestling. We had 3 table training a week and 3 other gym sessions in the gym to work on bodily aesthetics as well as preventing muscular imbalances throughout the body." With the competition looming, training has tapered. "After about two months of intensive training, we decided to taper down and so that we can peak for this competition. two weeks out, we stop all arm wrestling activity and for me, 10 days out, I completely rest," Valen said. "Tendons take a longer time to fully heal and I need more time so that I can reach a state of super compensation for the competition." This view was shared by Jia Jun. Like all their previous arm wrestling expeditions, this trip is self funded. Thankfully for the Singapore arm wrestlers, registration for the competition is free and the arm wrestling community is a tight-knit one. "Registration fees are free and my arm wrestling friend and Thailand strongest armwrestler, Book Sutiwat, will be driving us around and to the competition venue, appreciate it," said Valen. The niceties end there, Valen is raring to triumph at the competition. "My personal goal for this competition is to try to get at least a podium placing in one of the categories I am competing in... another goal of mine is to beat the Thailand under-85kg top contenders, Ronnachai, Wittaya and Wichai at a bodyweight of under-75kg," he said. 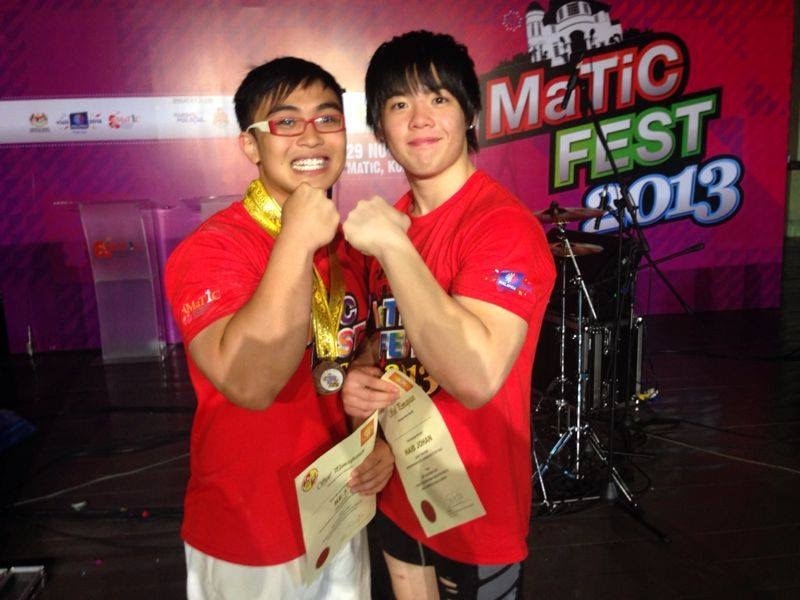 It will be Jia Jun's first major competition when he competes at the Pattaya International Arm Wrestling Championship. "This will also mark the first armwrestling competition that I am going to compete in by taking an aeroplane overseas ... I have high expectations for myself and definitely would want to defeat some previous opponents whom I haven’t got the chance to portray dominance," he said. The pair will depart for Pattaya on 3 September 2014.